Mary Ann Shensky, age 89, passed away September 25, 2018. Beloved wife of the late Chester. Cherished mother of Debra (Mark) Kukuruga, Lora (Ralph Findley) Small, Vince Bonawitz and the late Cherise Bonawitz. Dearest grandmother of Emily (Eric) Dresner, Michael (Sarah) Kukuruga, Jessica (Greg Jones) Small and Samantha Small. Great grandmother of Katherine, Marek, Vaughan, Celeste, and Alexis. A funeral Mass will be held on Saturday, October 6th 11:00 a.m, instate 10:30 a.m. until Mass begins at St. Genevieve-St. Maurice Parish, 29015 Jamison, Livonia. In lieu of flowers donations to the Michigan Humane Society are appreciated. 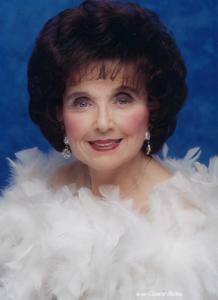 To share a favorite memory and/or photo of Mary Ann and to sign the online guestbook, please visit www.TurowskiFuneralHome.com.